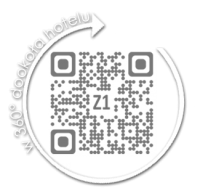 4-star boutique hotel in ethno-style, HedoniSPA, modern conference centre and Czarna Owca Restaurant. Piwniczna Hotel SPA & Conference, a black sheep among hotels, with the title of Super Star in the category of Rising Star in the first edition of HOTEL BRAND AWARDS 2015 edition, SPA REVELATION OF THE YEAR, first award in SPA PRESTIGE AWARDS 2014/15, Success of the Year 2015, the Best Accommodation in Beskid Sądecki and TOP QUALITY INTERNATIONAL 2014. Instead of washing basins – pieces of art, ethnic patterns on the facade, sheep in the interior, underground HedoniSPA - that is how 4-star Piwniczna Hotel SPA & Conference looks like, where bread is baked every day for breakfast. Piwniczna Hotel SPA & Conference is the only boutique hotel in Poland in ethno-design, which joins the elements of Lemko folklore with frugal and elegant minimalism. The decor and colours of the hotel refer to the rich culture of Black Highlanders, Rytro and Piwniczna highlanders. Traditional regional themes are expressed in numerous additions and usable elements which enrich modern and functional interiors. It is worth mentioning the lamp over the bar and a reception counter - a mosaic of thin wooden pieces, made by Zakopane artist, Jerzy Sarkowicz. Sheep themes can be seen everywhere in Piwniczna Hotel. Both in the decor and in "Czarna Owca" restaurant hotel kitchen which serves, among others, dishes prepared with the use of sheep products. The hotel can be described as an original and diverse one where every room is different and exceptional. As exceptional as its guests. There are rooms full of sheep which can be counted before going to sleep, there are also rooms where you can take a hot bath in the parlour. Piwniczna Hotel is a hotel for everyone who wants to relax surrounded by mountains and in a folk and luxury scenery. HedoniSPA will take care of your relaxation and sooth your nerves. The Chef of "Czarna Owca" will take care of your palate and certainly will surprise you with a skill of combining traditional mountain cuisine with the newest cuisine trends. Regardless of the time and weather, for whole families and for couples, for groups of friends or colleagues, there is pure pleasure awaiting you and a lot of impressions for the body and for the spirit. Our hotel, which is perfect for families with children, offers a series of attractions for the youngest guests. Starting from the hotel Playroom, through the playground outside, overlooking the mountains and the Poprad river bank and finishing with JuniorSPA offering a lot of treatments and safe sauna sessions for the youngest guests. In order to ensure the top comfort for parents with children we provide a care of a qualified nanny which will take care of your children and allow you to take a relaxing moment during your stay in "Piwniczna" Hotel.